Kathmandu: People of Helambu have called on officials of the Melamchi Water Supply Project to meet their demands before draining water from the hills. 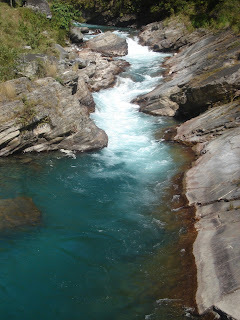 According to the existing plan, Melamchi stream is to be drained to the Kathmandu Valley from Helambu. At a press conference, indigenous people of Helambu demanded that their rights over local resources be safeguarded. The $371 million project aims to supply 160 million litres of water per day to Kathmandu from the Melamchi Valley. “Before draining out water from holy hills, authorities concerned must safeguard our rights enshrined in ILO Convention No. 169 and the UN Declaration on Rights of the Indigenous Peoples,” said Tashi Chhering Lama, coordinator, Hyolmo Area Conservation Concern Committee. Recently, indigenous communities of the Melamchi valley came to know that the Melamchi project had prepared a report saying no indigenous community was living in the project area. 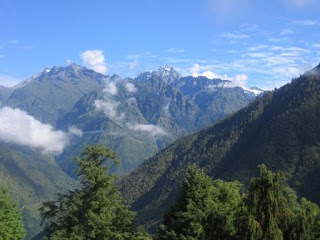 Lama said the main hill — the Shrine Valley of Himalayan Ranges — is the abode of Ama Jyomo Yangri, Guru Rempochhe and other deities of the Hyolmo community. He demanded that Melamchi Water Supply Project be renamed as Hyolmo Water Project. He also asked project officials to institute Ama Jhomo Yangri Area Development Fund and make arrangements for imparting education to local children in Hyolmo language. Buffer Zone Conservation Concern Group of the Langtang National Park said the project was neglecting locals’ demands. Karma Topke Lama, coordinator of the Buffer Zone Affected Consumers’ Struggle Committee, said the water project had neglected the agreement reached between the Melamchi Water Development Committee and Langtang National Park on March 9, 2004. As per the agreement, the project was to give continuity to social upliftment programme. He demanded that the project introduce programmes to control erosion, landslide and deforestation in the area.